46 strings. Made in Germany approx 1910-1930. 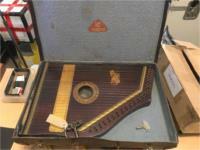 Includes original case and tuning key! Enter your email address below to get alerts for Other stringed instruments.